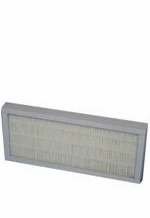 Hamilton Beach Filter for Model 04383, 04384, 04385, 04386, (2) Pack Hamilton Beach 04383, 04384, 04385, 04386 True Air Allergen-Reducing Air Cleaner Filter. 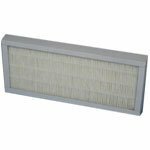 Note this filter is not washable, replace every 12 months. Size 5.06x11.6x1.1 2 Pack Special.